In a series to reach out to our young, up and coming local sportsmen carving a name for themselves in the Malaysian circuit, Asia Samachar speaks with Gurmeshjit Singh. Friendly, warm and always with a smile, the young budding footballer is making waves on the pitch for the Selangor Belia team. When approached, Gurmesh was not shy to share his accomplishments, yet remained humble and recognised those who had helped him along his journey. He believes the journey will take him places in the near future. 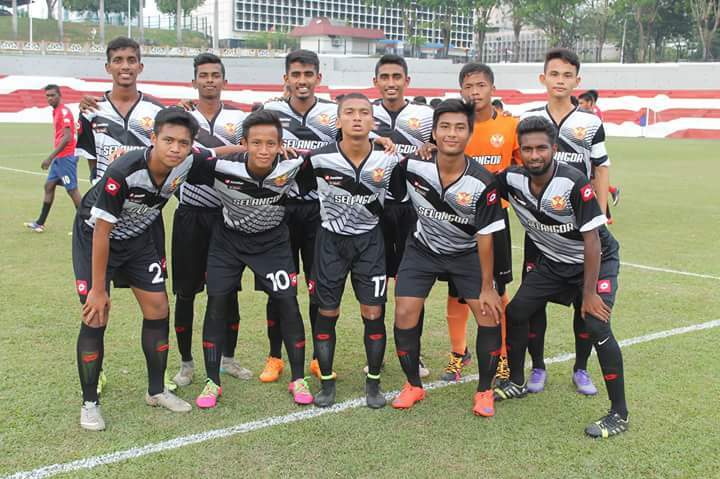 The Belia Selangor team is the academy for the Selangor professional team to develop young talent for their future campaigns, normally competing in the Football Association of Selangor (FAS) league. Asia Samachar: Belia Selangor is a strong team, and is the first step towards the Senior Selangor team. Tell me a bit more about the team. Gurmesh Singh: Selangor Belia is a team with a mixture of races. Players from all around Selangor state and even from different states come down for selection. It’s highly competitive amongst players, especially with the arrivals of players from the sports school. Basically we are a team under development preparing us for the Belia League and other major leagues once we are promoted. AS: Who is the coach? What is his background? GS: Our coach is K. Ramachandran. He is an ex-pro player, played for Kuala Lumpur and other teams. He also coaches the KL President’s team and more. I’d say he is very experienced. AS: When were you selected? Where were you scouted? GS: I was selected in January 2016 during a 2 month training as part of the selection before signing a contract with them. I was scouted during the Sukim tournament (MIFA) which was held in Johor. I was also scouted during the Gurdwara Cup while playing for Club Aman and lastly through the MK Cup U19 tournament. AS: I’m told your brother plays with you as well. Is this true? GS: Oh, yeah. 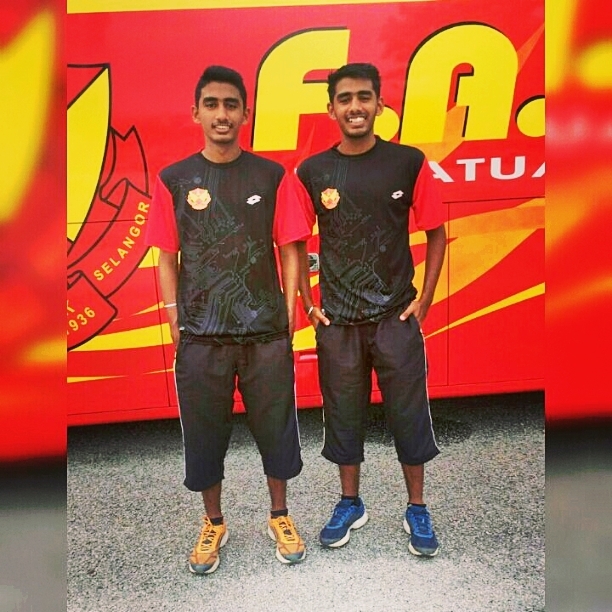 Rasmeshjit Singh was scouted during the MIFA tournament in Johor, during the Gurdwara Cup under Club Aman and lastly through the MK Cup U19 tournament just like me. And he also signed his contract on the 22 January 2016. AS: Is he your twin brother? AS: Are your parents active in pushing you in this footballing path? GS: Yeap, they are pushing me while making sure I don’t ignore my studies along the way. They take me to every training and tournament. My dad is basically the Club Aman coach. Mom sends me to every training for Selangor Belia. AS: Did your parents teach you the basics before? Did they send you to coaching prior? GS: They didn’t send me to any formal coaching prior but my dad was my own coach. AS: Did they push you to participate in tournaments? GS: Yes, I’ve been playing in many major leagues such as in MK Cup U19, 1MCC league, Allianz, the Gurdwara Cup, Sukim (MIFA Selangor) and many more. I’ve won many tournaments as a player and also won player of the tournament award. AS: Which ones were you player of the tournament? AS: Let’s talk a bit more about you as a player. What is your position in Belia Selangor? GS: Centre back or right back. AS: Is this your preferred position? GS: Yeap, they are my preferred positions. My favourite position is the center back or the midfielder. AS: Defensive midfielder or attacking? AS: Which internationals player do you emulate? AS: Which club are you a big fan of? AS: What are your dreams as a player? World Cup? Champions League? Play for Malaysia? GS: Dream is to get into the senior team, get a call up into the National squad and also play in the World Cup. AS: Alright, any parting words for our readers? GS: Hard work beats talent, when talent doesn’t work hard.